The San Jose Sharks swim into tonight’s Stadium Series contest via dangerous waters. After being a possession juggernaut last year finishing with 111 points and home ice in the first round, this year is a completely different story. San Jose has been inconsistent all year long, they are up, they are down, they have lost to a bunch of inferior opponents but played terrific against the Kings, Ducks, and even beat the Blackhawks a couple of weeks ago. However since beating those three teams in succession from Jan. 21 through Jan. 31, the Sharks followed it up by losing seven of their next nine (2-5-2) before winning their final game leading up to tonight’s contest (a 5-2 win in Dallas on Thursday). 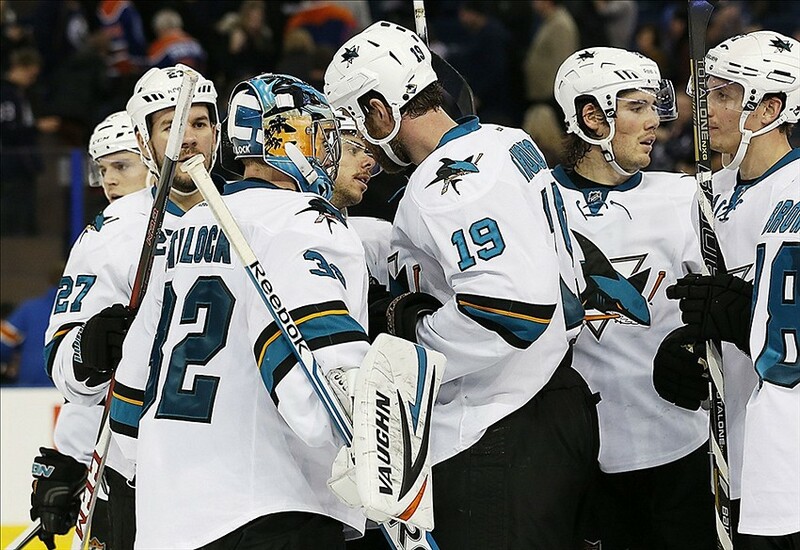 It is no question that the Sharks lack a cohesive identity in terms of who they are. Recently head coach Todd McLellan said they are a playoff team. They are currently in a playoff position by the slimmest of margins but what does that really mean? 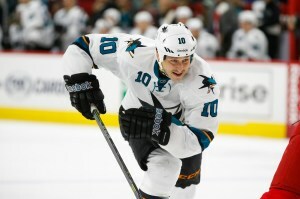 GM Doug Wilson has wanted to go younger this season and the Sharks have featured a number of rookies. However, at the same time they recently sent down defenseman Matt Tennyson, who was playing solid hockey, to AHL Worcester and decided to keep veteran Scott Hannan around. Tennyson provides a stronger two way game at this point (can play the power-play and actually has the best GA of all Sharks defensemen) and Hannan could very well be in his last year in the league. Wilson says he isn’t interested in acquiring short term rental help but if he doesn’t improve the roster before the March 2nd deadline, it seems unlikely the Sharks will make any noise in the postseason. That is of course if they even qualify. If they don’t it will be the first time they haven’t made the playoffs since 2003. As for this evening’s rivalry game on outdoor ice, the Sharks are two points up on the Kings but LA has three games in hand. Therefore a regulation win for the Kings will really put them in great shape to be tied with the Sharks points wise but have three extra games. A regulation win for the Sharks would be big to go four points up and give them a bit of cushion since the Kings have those games in hand. When it comes to line combinations for the Sharks one might think it would be bizarre to make any changes from Thursday’s win over Dallas. San Jose finally got something out of their bottom six, something they have been searching for, well, for years really. The fourth line of Andrew Desjardins, Tomas Hertl, and rookie Chris Tierney had terrific shifts all game long and Desjardins scored twice. That line will almost certainly be intact tonight but don’t be surprised if tough guy John Scott takes Tyler Kennedy’s spot on the other bottom six line with James Sheppard and Matt Nieto. McLellan likes to suit up a tough guy for games against Anaheim and LA, and for the majority of his time in San Jose, Kennedy has been in McLellan’s dog house. This should make for a heck of a game. These two teams have faced each other three out of the last four years in the playoffs. They have a heated rivalry going and typically they are some of the most entertaining games to watch. San Jose comes in as a struggling five on five team this year but they feature the seventh best power-play, clicking at almost 21%. Compare that to the Kings who are 13th in the league at 18.7%. Not a big difference but the Sharks are known to shoot lots of rubber on the man advantage, and the Kings have uncharacteristically been bad on the penalty kill this year. Los Angeles is 25th at 78.9%, while the Sharks are 20th at 80.1%. So a special teams game definitely favors the Sharks. If the Kings can stay out of the box, that would be to their benefit. Southern California colleague Felix Sicard points out in his Kings preview below that LA remains a top possession team this year. San Jose on the other hand has taken a significant step back when it comes to possession numbers. The Los Angeles Kings are the hottest team in the National Hockey League. 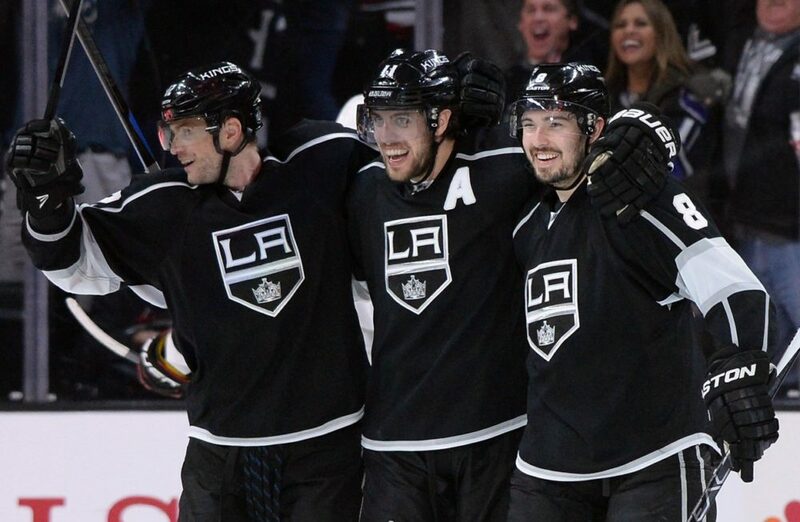 Winners of six straight, the Kings have made up serious ground in the Pacific Division. Once thought to be dead in the water only a few weeks ago, Darryl Sutter’s men now sit only three points out of second place in the division. The dramatic turnaround for the defending champions is far from surprising, as the Kings, through all their stuggles, have remained one of the league’s very best possession teams. No other team drives more pucks towards the opposing net at even strength than the Kings do, which bodes extremely well for their playoff hunt. Going into Saturday’s much anticipated tilt against the San Jose Sharks at Levi’s Stadium, coach Sutter will be slotting in his captain Dustin Brown alongside Anze Kopitar and Marian Gaborik on the first line. Swapping out of that slot is Trevor Lewis, who will be skating with Jarret Stoll and Justin Williams on the Kings’ third line, as reported by Kings Insider Jon Rosen. It’s been a tumultuous season for the Kings, one that has seen them suffer from the much maligned Stanley Cup hangover. For a team that’s played a ton of meaningful hockey in the past three seasons though, that shouldn’t really come as any sort of surprise. Including the 2012 playoffs, Los Angeles has played 69 playoff games. A lot of players in the NHL will say that playoff games are basically worth the same amount of effort and exertion as two regular season games. That’s a whole lot of hockey in only three seasons. In the season that they didn’t win the Cup, 2012-13, the Kings still made it to the Conference Final against the Blackhawks, losing in five games. Aside from being physically worn down, there has to be a level of mental fatigue as well. 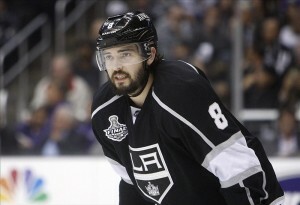 Drew Doughty claimed in the Epix “Road to the Stadium Series” show that the level of drive and focus is still the same. That may be true in his case, but it’s difficult to fathom that 21 other guys have the same level of drive after having competed in so many big games over the past three years. At some point, that has to wear on them. Yet through it all, L.A still has the best home record in the division, along with their astounding possession numbers. A win against San Jose on Saturday night would be huge, as the Kings’ next slew of opponents includes teams such as the Senators, Avalanche, Oilers, and the up-and-down Ducks. 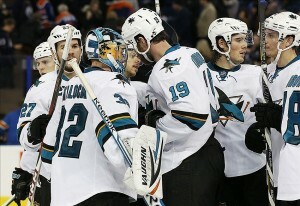 Before long, they could easily create some separation in the standings between themselves and San Jose. A game that only a few weeks ago would have meant little in the standings, Saturday night at Levi’s Stadium represents an opportunity for L.A to embark on another of their now patented second-half pushes into the playoffs. A club that was once counted out could become a legitimate playoff threat.The task won’t be an easy one though, as the Sharks are coming off an important win against the Dallas Stars. What better place than the great outdoors for a crucial regular season tilt?